This engraved stemless wine glass features a fine rim that enhances your wine tasting experience and is large enough to hold up to 21 ounces of your favorite wine. 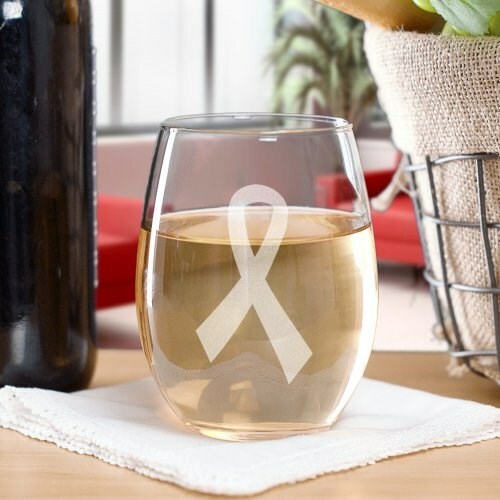 These engraved wine tumblers are perfect Breast Cancer Gifts and a way to spread your awareness for the cause. Today’s Price: $13.99 Temporarily out of stock. Please check back.